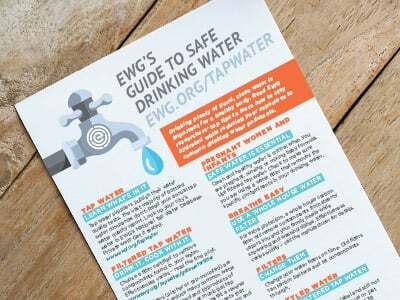 EWG Tap Water Database | What about lead? Shasta Csa - Cragview, #23 - click here to return to the utility page. According to EWG’s analysis of data from the U.S. EPA Safe Drinking Water Information System, this utility complied with federal water quality regulations from January 2013 - December 2015, the latest assessment period available. 90 percent of lead samples collected by this utility measured below 0.0 parts per billion (ppb). Under the federal Lead and Copper Rule, 90 percent of household samples must have less than 15 ppb lead. If this legal limit is exceeded, the water utility must apply measures to control lead leaching from the pipes. Complying with the EPA's lead rules doesn't mean that water is safe for children to drink. Recent EPA modeling suggests that lead concentrations in the 3.8 to 15 ppb range put a formula-fed baby at risk of elevated blood lead levels. In 2009, the California Office of Environmental Health Hazard Assessment set a public health goal level of 0.2 ppb for lead in drinking water to protect against even subtle IQ loss for children. 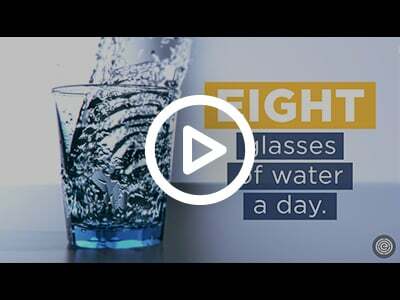 Since 2014, and the crisis that rocked the community of Flint, Mich., lead in drinking water has been a topic thrust into the headlines and the minds of millions of Americans. On Aug. 14, 2014 a water boil advisory was declared for certain parts of the city. In response to coliform contamination, the city of Flint decided to switch the source of its drinking water. What occurred over the next three years amounted to one of the largest infrastructure and government failures regarding public health in modern American history. Due to the introduction of highly acidic water from the Flint River and insufficient water treatment techniques, children who consumed this lead-tainted water had 46 percent higher blood lead levels than children in nearby Detroit. It has been estimated roughly 12,000 Flint children were exposed to water with high levels of lead. Since Flint, many other areas of the country have demanded better testing for lead in their homes and communities. Lead contamination has been found to be a nationwide issue – whether in a small community like St. Josephs, La., an affluent suburb such as San Marino, Calif., or major metropolitan locations like New York City and Chicago. How do I know if my water is safe? Ask your water provider if your tap water enters your home through a lead service line. Although most utilities stopped installing lead lines decades ago, more than 6 million American homes get still get water through lead pipes, according to a 2016 report from the American Water Works Association. Your water company says your house is served by lead-based water lines. Your water company has detected lead in your neighborhood. You get water from a well and your public health department detects lead in well water in your area. Test your water through a state-certified laboratory. 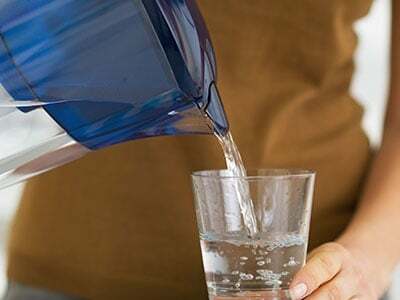 Labs recommend that you collect a sample of cold water that has sat overnight and another sample of cold water after you have run the tap for at least one minute. Lead concentration in drinking water varies and can spike if there is any work done to water pipes in your house or neighborhood, or if your city switches to a new water source. Under the federal Lead and Copper Rule, whenever lead concentrations exceed an action level of 15 parts per billion, or ppb, in more than 10 percent of customer taps sampled, the water utility must take action to control lead leaching from the pipes. Many utilities report the so-called 90 percent value, which means the top 10 percent of samples for a specific utility that have the highest concentration of lead. If concentrations of lead in your tap water exceed 15 ppb, lead removal is essential. Yet new studies show that the existing federal action level for lead in water does not protect children’s health. The official position of the U.S. Centers for Disease Control and Prevention is that no safe blood lead level in children has been identified In 2009, the California Office of Environmental Health Hazard Assessment set a public health goal level of 0.2 ppb for lead in drinking water to protect against harm to the brain and nervous system in children. A 2017 analysis by the Environmental Protection Agency finds that water lead concentrations greater than 3.7 ppb may put a formula-fed baby at risk of elevated blood lead levels. The Food and Drug Administration’s regulations allow up to 5 ppb of lead in bottled water sold in the U.S. If lead is detected in your water, it is best to use filtered water for mixing baby formula or for children’s drinking water. How can I decrease my family’s lead exposure? Visit EWG’s Water Filter Buying Guide to find a filter that meets your needs and budget, and choose a model certified for lead removal by NSF International, the California Environmental Protection Agency or Water Quality Association. 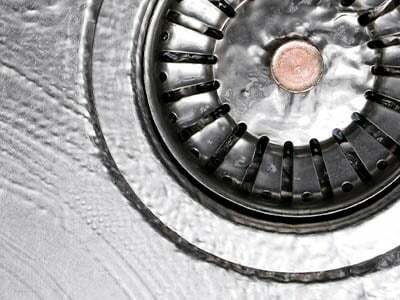 Look for a product that removes more than 99 percent of lead from tap water. Verify model numbers before purchasing, because product specifications may change. Check with your local public health department for advice about how to reduce lead in your drinking water. Additional water testing can help clarify whether lead in your water is coming from your house itself or water service lines. Some health departments have funding to help address lead risks in houses where children live, and water companies may be required to replace some lead-based pipes in their systems. How can we solve the lead in water crisis? Ultimately, replacing lead pipes is the only permanent way to remove lead from drinking water. Children’s health advocates are pushing for the federal government to more vigorously address the lead problem in drinking water. This means speeding up the replacement of aging lead water pipes, paying for replacement of pipes that run from the street to the house entrance, and requiring water companies to provide local health departments and the general public with more detail about lead problems in their neighborhoods. For more information, read EWG's mini-report on lead.